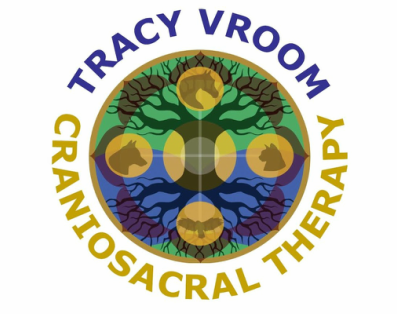 Craniosacral therapy is a gentle, hands-on energy work which has roots in osteopathy. Studies of the cranium, led to the discovery that the skull bones are jointed, and the sutures are not truly fused, so they permit slight motion independent of breathing and heart rate. This motion is present in all tissues of the body. When body tissues are subjected to stress or trauma physical or emotional, this motion can be disrupted resulting in imbalance or dis-ease. It cannot be seen but it can be palpated in a meditative state. To palpate this discreet rhythm, practitioners utilize the inner eye and inner ear and see with the eyes of their heart. 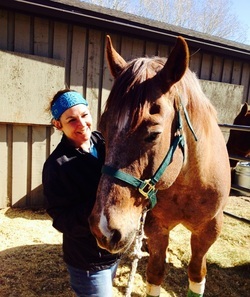 Once they have determined where the restrictions are located, the Craniosacral practitioner palpates the tide-like motions to assist the animal's body in releasing the stored injury or trauma. This will help restore the vital motion and balance of the rhythm. The body has an amazing capacity to heal itself. When an animal is in balance emotionally and physically, they are healthy. Tellington TTouch Method or TTouch combines bodywork and ground exercises, to resolve a variety of health and behavioral issues. The TTouches give the animal a new body experience on a cellular level, releasing old pains and unproductive habitual patterns. The ground exercises build confidence, enhance coordination and increase the ability to learn. This allows the animals to learn without provoking typical fear responses. (Like fight, flight, freeze, fool around, feint) The animal can move beyond instinct, to Act rather than React, to learn new and more appropriate behaviors. Animals learn to listen by developing self-control rather than out of fear. 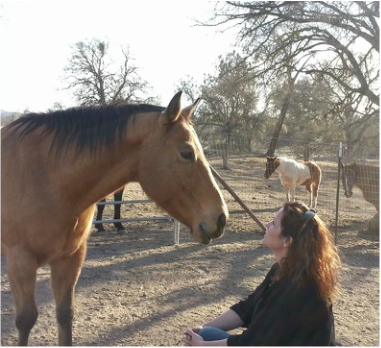 The TTouch Method, helps enhance the animal’s self-confidence, which will lessen the need for aggressive or fearful behavior, release tension and increase body awareness and balance. The ground exercises utilize equipment like a labyrinth, cones, tarps, etc. It can help with health issues by stimulating the immune system to help alleviate pain. 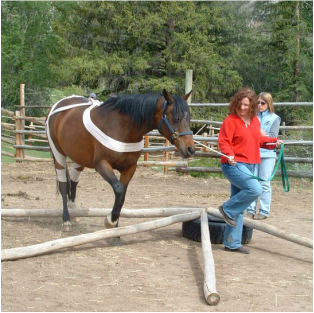 The technique was first developed for horses and has since been proven effective for numerous species of animals, including zoo, and marine animals. The TTouch Method was developed over 35 years ago by internationally recognized animal expert, Linda Tellington-Jones, pHd (Hon.) Recognized world-wide, this systematic method is easy to learn and brings quick and lasting results. It is used by animals owners, breeders, trainers, veterinarians, zookeepers, Olympic teams and universities in over 30 countries. The University of Minnesota is conducting a new research program dedicated to the study of the Tellington Method. TTouch has been effective in providing solutions for a wide variety of issues…excessive barking, chewing, fear, shyness, jumping up, leash pulling, aging, arthritis, hip dysplasia, scratching, recovery from injury and surgery, aggressive/reactive behavior, fear biting, motion & car sickness, resistance to grooming, nervousness, tension, stress, balance and focus in training & competition, self-mutilation and more. Drifter was the spoke-horse for the non-profit "Drifter's Hearts of Hope" located in CO.